I am ready to update my old wedding band & I want a seven stone (3.5mm) moissy ring. What is stronger for constant wear,shared prongs or bar set? Anyone got pics of either to share? I personally like channel set for the most secure and comfortable. That's just me! I totally agree with Sandeek. My channel set band have always held up the best with a close second being flush set. Anyone got pics to share? I love the bar set look for a ring that is going to be worn alone, but would suggest caution when wearing one set with moissanite. I had one, and wound up chipping several stones when I dropped it in the sink while cleaning it. Exposed girdles are always reason to be careful when wearing or cleaning one! 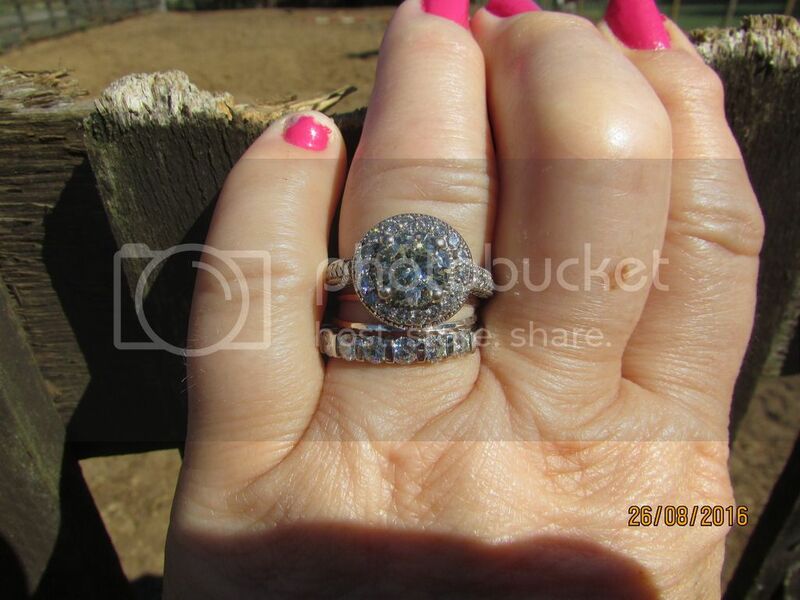 I have a moissy eternity band that is bezel set. No exposed girdles and it wears beautifully. Thanks for sharing gemcat I have just received my half eternity from MoCo.It is a bar set ,7 stone in palladium with 3.5 moissy's. It is beautiful! I realise that it is more fragile,so I'm really going to baby this ring.I have bought some really thin spacer bands from Etsy to keep it away from my e-ring. I will post pics as soon as I can get to grips with my new camera! Would love to see photos too! I've been thinking about a 3mm or 3.5mm RB eternity and have been struggling deciding between single shared prong, double shared prong and bar set. I think bar set would be perfect for you since you want it wear for a longer duration, my own sister who recently got married right here in Florida opted for a bar set rather than the usual one for her wedding and it looked really nice on her! H! I love your band! I'm thinking about getting an eternity band from moissaniteco but want to make sure it doesn't show too much color or look green/yellow in natural light. I see that yours has 3.5mm stones.. I'm looking at one that has 4.5mm stones. I have a credit with moco so I can't return or exchange it. Do you think the size I'm interested in will show too much color? I have some 5mm studs from MoCo & they look like my diamonds. 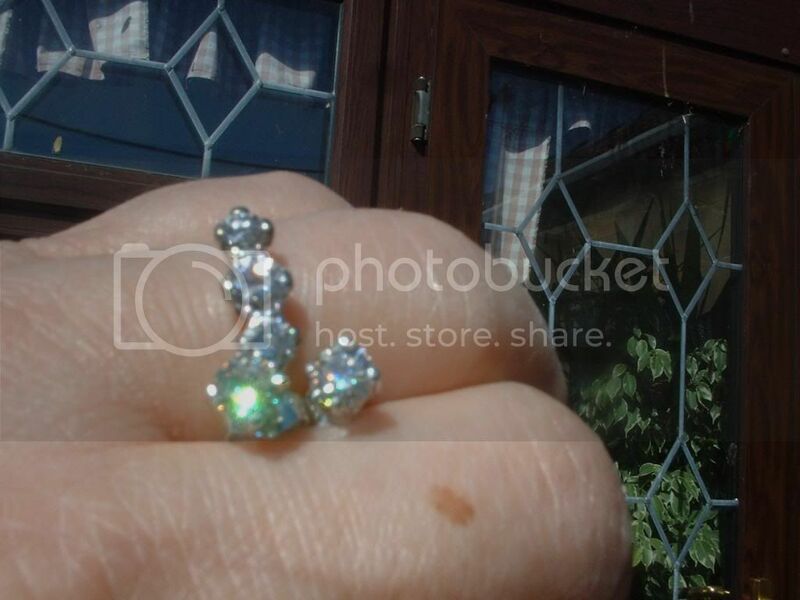 They check their stones for cut quality & at that size they look pretty colourless.They are so sparkly! Wow! So beautiful! Is your band a forever one moissanite band? The one I'm looking at is just a standard moissy band.